For many people, a limousine is a luxury that is not a part of their daily lives. 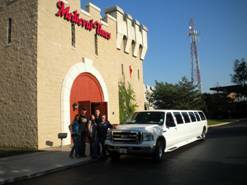 Maybe once or twice in their life, on their wedding day or for their prom, they indulge in the elegance of a Limousine. This makes the event even more monumental and special. These are the moments in which we create memories that last for a lifetime. At Royalty Limousines, we understand that when you contract us you expect your limousine experience to be perfect and priceless. From the most spontaneous excursions to those events which are planned months or even years in advance, we strive to make your transportation on that night absolutely seamless. Our special touches make the difference! Need a quote? Give our friendly staff a call today!